What are the benefits of project management? About four key benefits of project management. Quick tips for helping your team adopt project management best practices. Not every company or team has a formal project management process. Whether you’re on a new team at a large organization or working at a fast-growing startup, formal project management isn’t something your team has prioritized yet. But now, you’re finding it increasingly difficult to stay organized and collaborate with teammates and wonder if you need project management—except, that’s just a thing for teams with dedicated project managers, right? Well, maybe not. 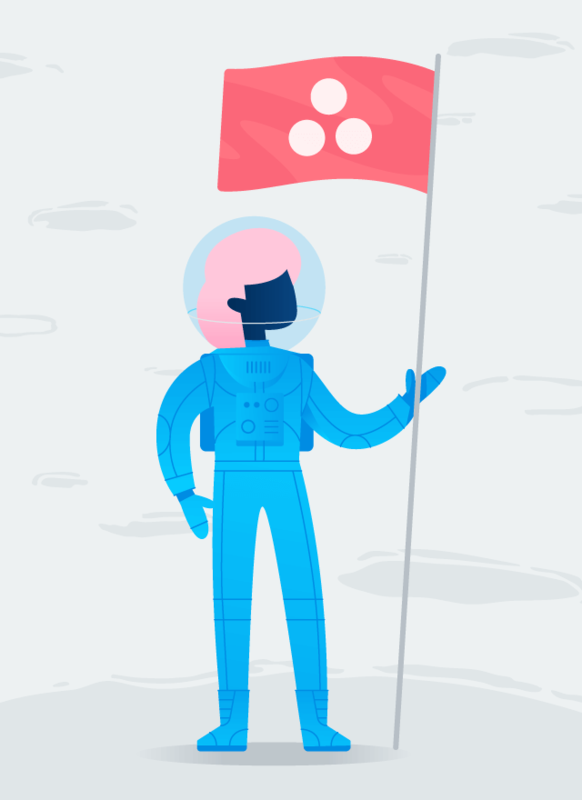 At Asana, we think project management is a universal skill that helps teams complete projects more efficiently. Finding a way to plan, manage, and execute work is relevant for every team and company. And while you may not need every piece of a traditional project management system, your team could still benefit from some of the fundamental parts of project management. 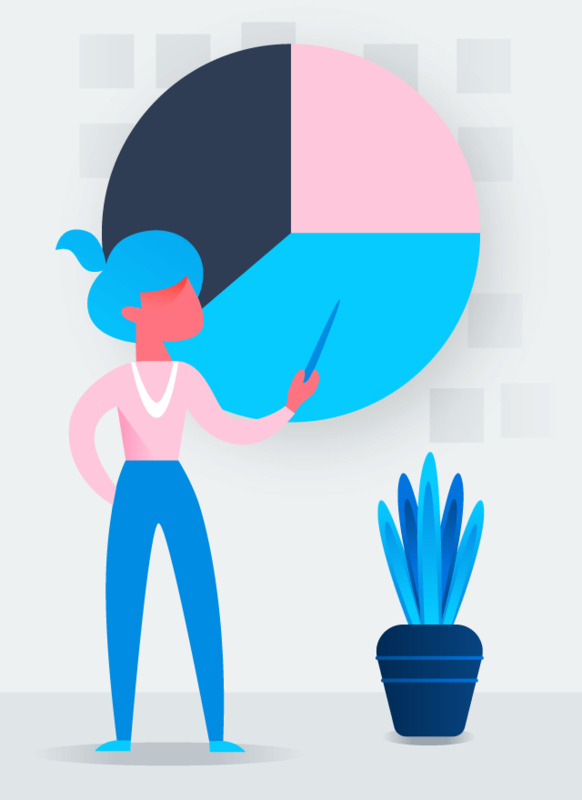 If you’re still on the fence about whether or not you need project management, read on to discover the benefits of project management, along with a few simple ways to bring these ideas to your team’s way of working—no fancy degree or certification course required. The term may be project “management”, but managing a project is only one piece of the puzzle. Before you even get started on work, you should set goals for your project to give everyone clarity on the purpose of their work and what results they should aim for. For example, if your project is to launch a new product, you might set a goal to “drive a 20% increase in upgrades.” This goal would in turn influence your launch decisions as you go and a way metric to measure success after the launch. The individuals on your project team will benefit too. By ensuring you’ve really thought through the problem you’re trying to solve and giving your team a “north star” to align on, you’ll keep your team focused on tasks that will make an impact on these goals—rather than getting lost on unnecessary work. Assess why you’re launching this project. Ask: Why does this need to be done? Who will this impact? How does this project fit in with your organization’s larger goals? Does it fit in with work other teammates might already be doing? What results do we think we’ll see from this initiative? Share your goals with all of your stakeholders. Before planning your project, share your goals with everyone who needs to be involved. Depending on how your team works, you could either do this with a kickoff meeting, by circulating a document, or setting it all up in a project management tool and followers to your project—just so long as everyone understands the goals (and non-goals) of your initiative. Set up a process for monitoring and reporting on goals. Don’t just set ‘em and forget ‘em. Make sure you have a plan for regularly checking in and reporting on your goals. This way, you can easily see if you’re at risk of missing your goal and adjust your plans to hit them. If you’ve ever lept into a project without a plan, you know how messy things can get right from the start. You might end up skipping essential steps in your project schedule, scrambling to complete a forgotten task at the last minute, or answering the same logistical questions over and over again: “When’s this due? What are we doing next?” Worse, the quality of your work might suffer as you rush to push your project across the finish line. 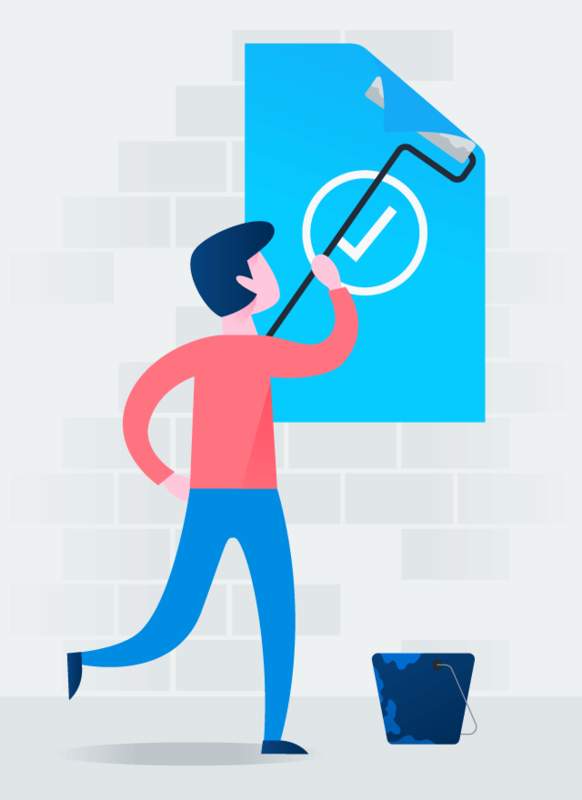 By outlining a clear plan with all of your project to-dos, then adding deadlines, task owners, and other essential details, you’ll turn what would have otherwise been a chaotic and wasteful execution process into an efficient one. You’ll have a clear idea of the scope and timing of your work, and can spot potential conflicts before you’ve even started. With just a bit of forethought and planning, you’ll be able to waste less time and resources—and who doesn’t want that? List everything you need to do before getting started. Then, add details like due dates, task owners, status, or links to relevant files. If this is a new kind of project for your team, add in a little buffer time for any unplanned for steps or glitches. Organize everything in a shareable plan. Whether you use a simple list or calendar, or something more visual like a timeline or kanban boards, you’ll want to organize your plan so it’s easy for anyone to see who’s doing what by when. Then, circulate it among your stakeholders to get everyone on the same page. Turn repeatable projects into a template. If this is a project you’ll run over and over, create template that you can iterate on to save time in the planning phase next time around. Once the prep work is done, it’s on to the actual management part of project management. However, without a clear owner of the project to take your team to the finish line, it’s all too easy for teammates to drop tasks, forget details, or not know who to go to with questions. While companies with a formal project management function will have a Project Manager to make sure project plans are going according to, well, plan, those without one often let these responsibilities fall on the person leading or initiating the project. For example, if you’re an editor publishing a new series of articles, a developer orchestrating a website migration, or an account manager updating their client reporting systems, you’re also likely the one coordinating all the moving pieces of your project. Fortunately, you don’t have to take on a second job to manage your project effectively—a little communication and collaboration can go a long way. By making it clear to others that you’re the point person for your project, everyone else involved will know who to go to with questions and to look to for updates. And by outlining everyone else’s role in the project, you’ll eliminate confusion on how you want your teammates to be involved. Clearly communicate your role (and everyone else’s). Whether it’s in the planning phase or at the outset of your project, make sure everyone knows who the project lead is (you!) as well as the responsibilities of others involved. Check in with and answer questions for task owners. Since you’ve created a clear plan, stakeholders already know what they’re responsible for. Now, help them stay on track by checking in on how their work is progressing or helping them get access to anything they need to unblock work. Regularly share status updates. Keep the momentum going by sharing updates with your team on project progress. Not only will this keep everyone up to date and reduce status update questions, but it will encourage and motivate your stakeholders. To put these tips into action, consider using a project management tool to help your team better collaborate and stay on track. 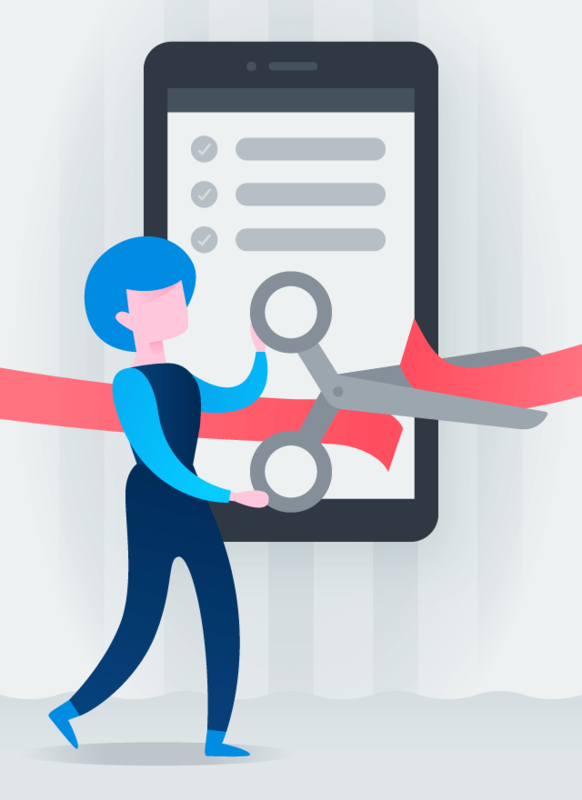 While there are literally dozens of tools you could choose from, you’ll want to avoid looking at more traditional project management tools since most of these tools are built for more traditional processes and can take a lot of time to set up and onboard. Instead, look for something that’s easy to adopt, flexible, and customizable. Bonus points if you’re able to connect work across projects (which can be hard to do in email and spreadsheets) and communicate with teammates where the work is happening. 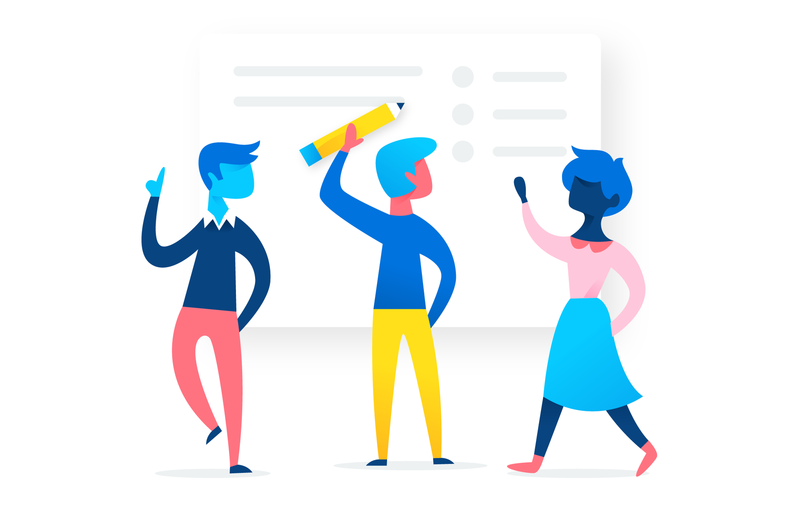 Obviously, we think Asana fits the bill and is a great option for companies who want to get a jump start on better project management with a tool that’s both easy to adopt and has the features your team needs to be successful. Get everyone on board with one central tool. Instead of letting every team or team member use a different tool to manage projects, agree on one tool everyone will use. This way, you can better encourage collaboration and reduce confusion on where to find essential information. Share out status updates and reports. The fastest way for your teammates to see value from a tool is giving them more visibility into project statuses and progress. By sharing out status updates and showing project progress in your new tool, you can help teammates better understand where work stands and encourage them to use the tool for their own work as well. If you’re interested in using Asana as your project management tool, you can learn more about Asana here. No matter what company or industry you work in, your team will benefit from adopting a few project management basics. Even a few simple changes to how you plan, manage, and report on your work can make your team more efficient, accountable to their work, and confident that they’re tackling the things that matters most. Start managing projects in Asana today.